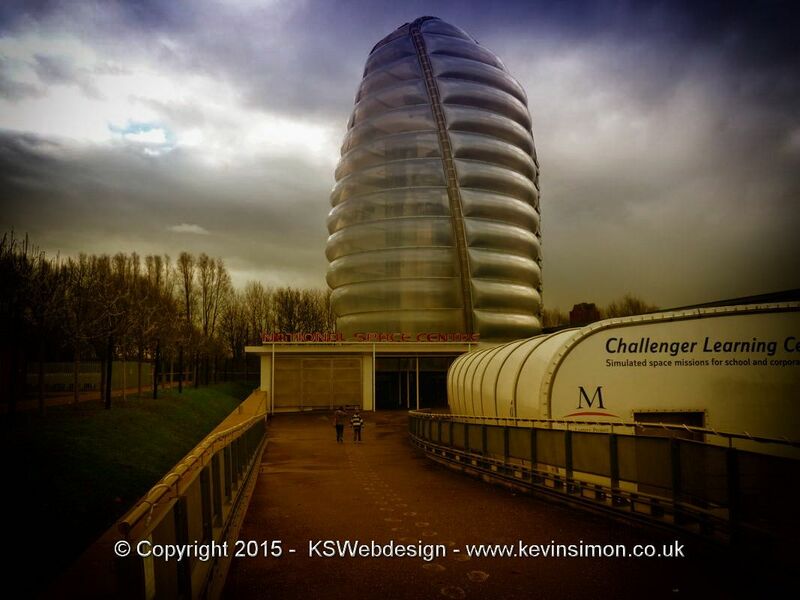 We recently visited the national space Museum in Leicester, which is just outside the city centre. We got tickets using the must see three, which is one price for three attractions in the area which includes the space centre, Conkers (see HERE for review) & Snibston discovery centre (see HERE for review) the cost of a family ticket for the must see three is £65 this ticket is valid for that year. Normal entry price is £13 adults, £11 children though under 5’s are free or £48 for a family ticket (2 adults + 2 children under 14). If you get your tickets just to the space centre you can visit as many times as you want within that year using a free upgrade to a annual pass. There is a large car park but you do have to pay for parking at £2. For latest prices and opening times see the official website HERE. Make sure you do this as some days they aren’t open as we found out the one day we went to visit when the kids were off school for teacher training day, so we ended up going to Tropical bird land that day see HERE for review. The first thing that you notice about the space centre is how unusual the building is with the semi transparent tower, our daughter said it looked like bubble wrap. The first floor is separated into different sections which are into space, exploring the universe, the planets, orbiting earth, space now and tranquility base. In each section there are interactive displays as well as loads of informative information about the topic of each section, some sections are better than others. The tranquility Base has loads of interactive things to do as if you was training to be a astronaut. The kids did enjoy this part. In the centre there is the Sir Patrick Moore planetarium, within your ticket price you get to see one of the shows that will be on that day, you get your choice when you purchase your ticket, on the day we went there was three different show on, we choose the first one about life on other planets. I have to say this was the best part as watching what is mainly just a documentary was really immersive on the wrap around screen, while you are sitting slightly back. You can see other shows though this is a cost I think was around £5 per other show each. So could work out bit expensive for a family, though you do get one included and really the same price as a normal cinema ticket. The tower section has three floors each floor has information about different eras of the space race, they are new frontiers, leaving earth 1942 – 1962 and destination moon 1962 – 1975. Each section has displays for that subject. You can get to each floor using the glass elevator or stairs. The best way is using the elevator as you do get to see the two full size rocket boosters better. Though each floor you can get close to them. It is amazing to see the size of these and up close. On the ground floor directly under the rocket exhausts there is a restaurant / café with seating, didn’t really look at the prices so not sure how expensive food or drink is. Myself I did enjoy the visit to the space centre, though if you are into space, astrometry etc you don’t really learn that much more than you already know watching documentaries etc. But is interesting to see up close full size rockets, engines and space suits etc. Now if you aren’t into space at all like this missus and our daughter they didn’t really enjoy it as they found it a bit boring, though they did enjoy the planetarium, especially the missus as she said it looked 3d, as she can’t enjoy 3d films using glasses as she has a problem with one of her eyes, so she really enjoyed the planetarium show. I don’t think we will revisit the space centre, though if you did just get the ticket for the space centre you can return through out the year and that would be useful as they do have different events on throughout the year. We only spend just over two hours at the space centre. So a interesting visit as a one off.